This home features 3 bedrooms, with possibility of 5! All hardwood floors. Lots of recent updating done including new drywall, paint, porch restoration & more. Also featuring boiler heat - very efficient. There is also a 24x30 detached garage that was built in 2002 with an upstairs for extra storage. Garage also has a 3rd overhead door for easy access. 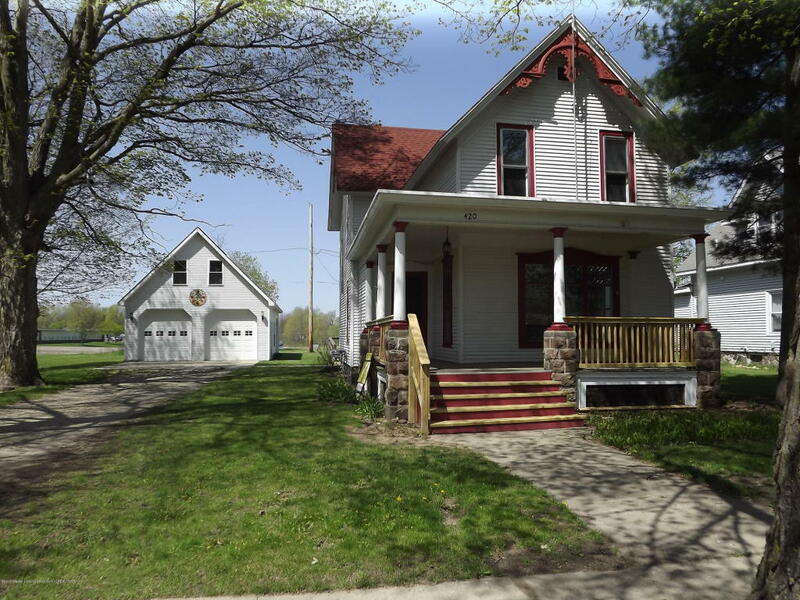 This home is so charming with all the original woodwork & built-ins. You must see it to appreciate all its secrets. Call today for your private showing.